The French seafood firm bought 50% of salmon supplier Direct Ocean in 2015. 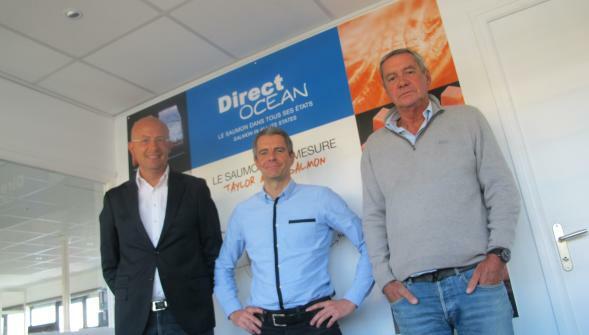 Freshpack, a majority owner of Direct Ocean, is to move into a brand new building, just outside Saint-Martin-Boulogne, Nord Pas De Calais, northern France, reports La Voix Du Nord. The company told the publication that it needed to expand. In 2008, the company earned EUR 25 million euros in sales, today that number has jumped to EUR 150 million, boosted by Direct Océan to the sum of EUR 80 million. The company supplies frozen seafood such as lobsters mainly to the supermarket sector. In 2015, France’s salmon leader and Freshpack, who specialise in tropical shrimp from Madagascar amongst others, decided to partner up for better synergy.